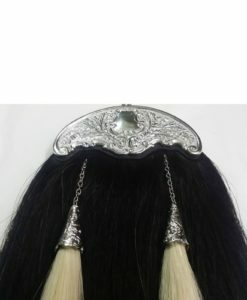 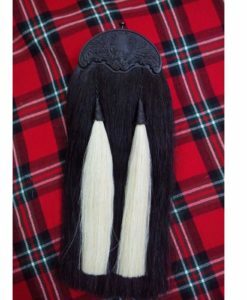 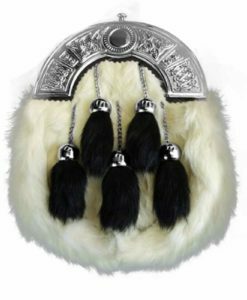 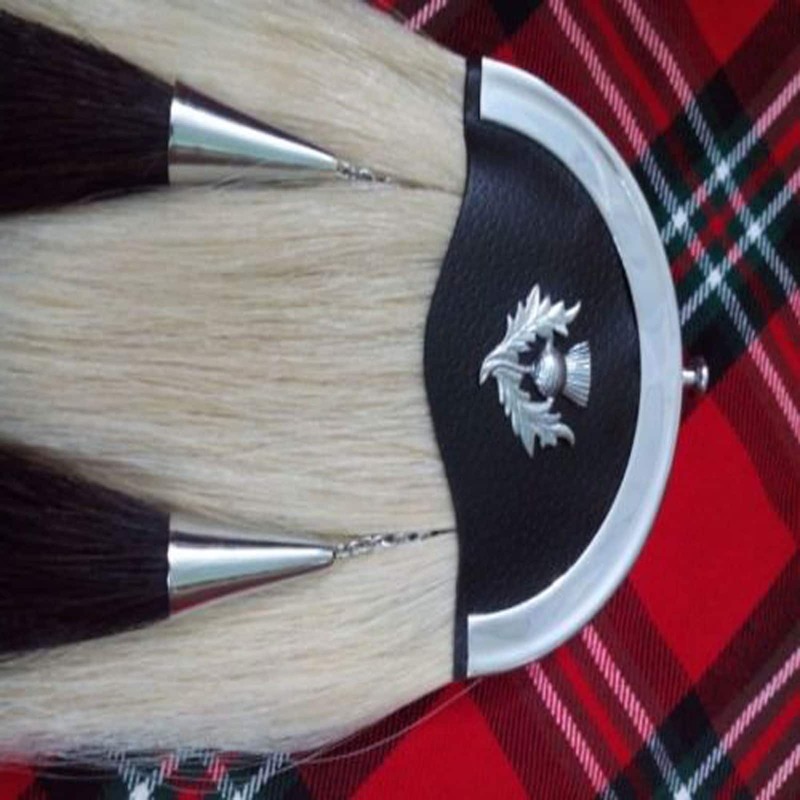 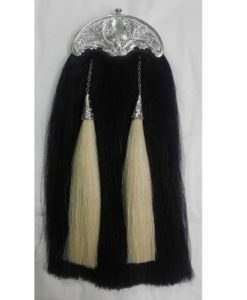 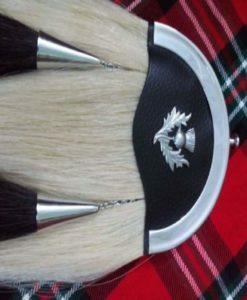 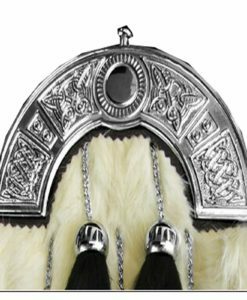 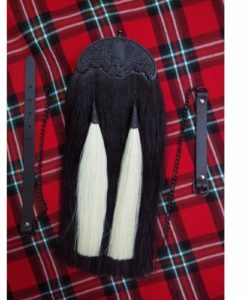 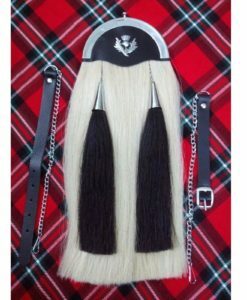 This White Horse Hair sporran are made up of genuine hairs of Horse combining the black one. 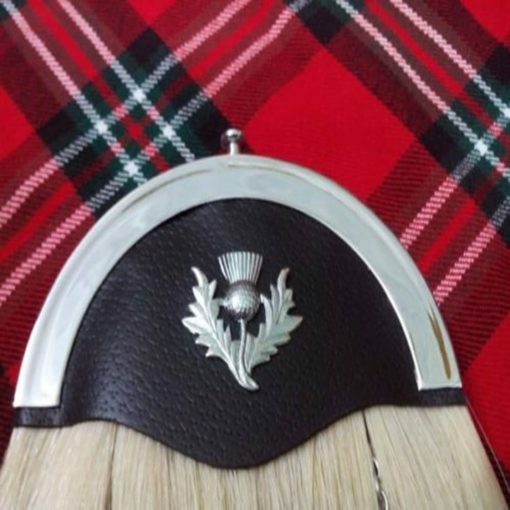 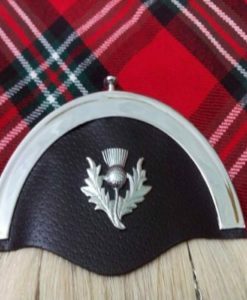 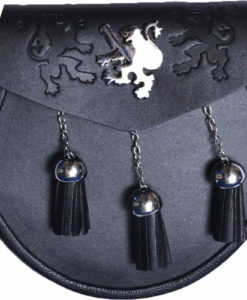 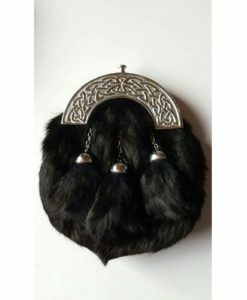 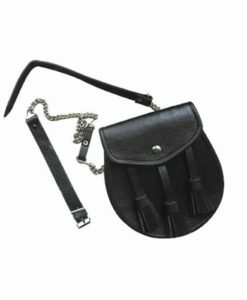 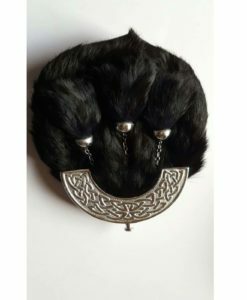 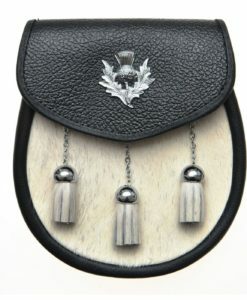 The head of this sporran is designed with genuine leather and thistle symbolizing the Scotland tradition. 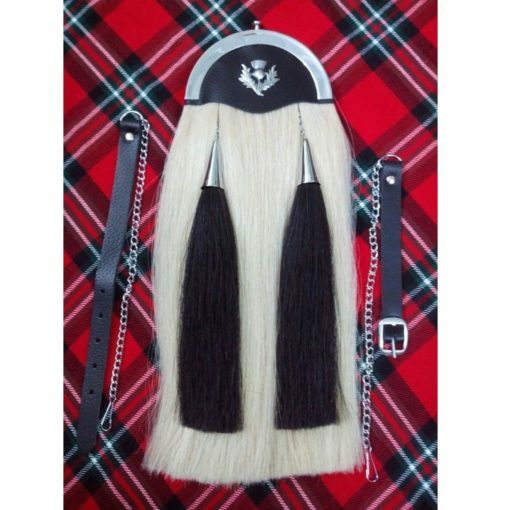 Its a full dress sporran which looks amazing on the wearer. 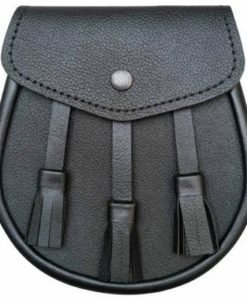 On the upper side of the sporran, there is amazing hook which is customizable as per the choice of customer.